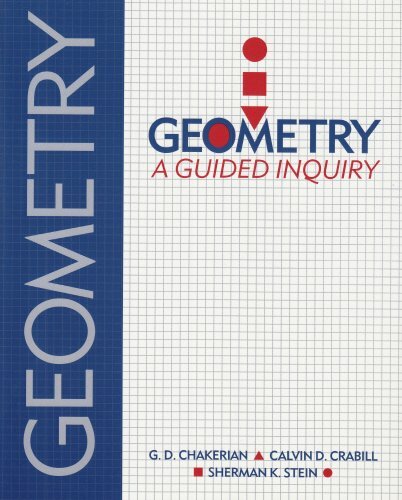 Geometry: A Guided Inquiry was written by , G. D Chakerian, and Sherman K. Geometry: A Guided Inquiry was published by Sunburst Communications, Incorporated. 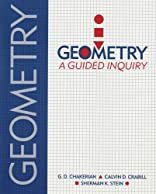 Subjects of Geometry: A Guided Inquiry include Geometry - General, and Mathematics. About G. D Chakerian (Author) : G. D Chakerian is a published author of young adult books. Published credits of G. D Chakerian include Geometry: A Guided Inquiry. About Sherman K (Author) : Sherman K is a published author of young adult books. Published credits of Sherman K include Geometry: A Guided Inquiry.